There are a lot of concerns for if and/or when the grid goes down and we are unable to acquire some of life’s basic items. It is a given that life as we know it will change forever and any number of scenarios can be entertained that will make it happen. But I’m going to keep things simple for this article. I don’t like talking about the doom and gloom of our impending collapse. I prefer to focus on how I can brave the coming storm and help others to do the same. 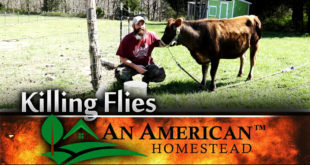 Fuel is an item that we will definitely always need on our homestead. While it will be impossible to drill and refine our own petroleum products, I think it is very possible to produce a limited amount of our own ethanol for fuel. With a few modifications, this can be used much of the time like normal fuel. 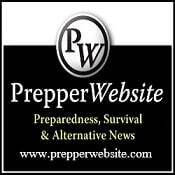 Clawhammer Supply is one of our advertisers on this website. They provide a few different options for DIY (do-it-yourself) ethanol production and provide wonderful quality parts and instructional videos to aid you in this goal. They even provide you the legal paperwork and information needed to obtain the FREE permit provided by the federal government. We received our permit in less than 60 days, through the mail. 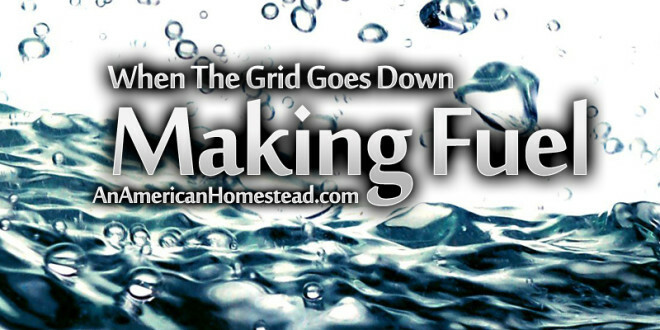 Think what it would mean if you had the ability to provide your own ethanol fuel for any number of uses during a grid down situation? Clawhammer Supply should be at the top of your list in getting a kit so that you can achieve success in fuel production. I have very little experience in soldering and welding, but I was able to put this 5 gallon kit together in about 3 days. I spent a couple of hours working on it each day. It was so easy! And the instructional online videos they provided make it fun! 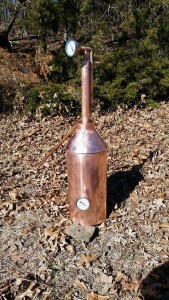 At the end of the project, I had my very own 100% copper pot still that I made myself. Not only can this be used for fuel production, but for making distilled water and essential oils as well. Both of these items can come in handy in various situations. In my state, using the still to make consumable spirits is illegal. That may not be the case where you live, giving you an additional incentive for owning a kit like this. Oh well, we’re not big whiskey drinkers here anyway. The Basics: Making alcohol for fuel production is very simple. So lets imagine that the grid is down. No running to the store to pick up any items. You have your still, but that’s it. You need to come up with the rest of the ingredients to produce the alcohol/ethanol all by yourself. You can find sugar from two 2 sources: natural sugars and starches. Starches can be used, but they require an additional process to be converted to sugars just as they do during digestion in your body. Let’s explore each option. Natural Sugars would include the following: sweet fruits, sugar beets, honey, and tree sap rendered down to syrup. Sugar beets should get special mention because they can produce a lot of fermentable sugars that can be used to make alcohol. Juniper berries are also important to mention for those of us who live in the United States. They can be found around much of the US and have a sugar content approaching 30%. Starches are a favorite for acquiring sugars to make alcohol/ethanol. However, there is an extra step that must be included to convert those starches to sugars. Don’t think for a second that this process will happen by itself. These are the top items that can be used for starch sugar production: corn, barley, wheat, spelt, rye, potatoes and Jerusalem artichokes(sunchokes). All of these contain starches that can be converted into sugars, but you must first provide the enzyme that performs this conversion process. Brewing stores sell bottles of enzymes that you can use, but remember, the grid is down and the zombies raided the brew store months ago. So no trips to the brew store allowed! You must make your own enzymes. Thankfully this is an easy task. The enzymes needed come from malted grains. Many people use barley or wheat, but you can really use any grain. Take any grain you have access to. For a 5 gallon batch of mash you will want about 9lbs of grain. Soak in water overnight. Drain and rinse the next morning, and mist to keep moist. Let the grains sprout just enough so the sprout is just about half the length of the grain. Dry the grains with a kiln or solar dehydrator. The dashboard of your car works great for this in the summer. These dried grains now possess the enzymes needed to convert starches into sugar that can then be fermented. The grains will need to be crushed before use and heated to 150 degrees in water. Then they are ready to be added to your other starches (batch of potatoes, corn, etc.) that will be used for sugars. The grains you sprouted are officially “malted” and work as an activator for the batch of mash you are making into alcohol. Ok, so we still need yeast to get this show on the road. The yeast will break down the sugars and the result will be alcohol/ethanol that can be distilled and used for fuel. But remember we said no trips to the store. So you have to make your own yeast. We do this for bread here on the homestead by “growing” our own sourdough starter that is simply created with yeast from the air. But you can make your own yeast in other ways as well. Naturally grown fruits will have yeast on the skins. Potatoes can be boiled to make a yeast starter. For more info on those methods, click here. For us here, we usually have a sourdough starter available or can easily make one in about a week. You would just need to add about a cup of the starter to your ready to go mash and watch the magic happen. The fuel we produce on this homestead will be made by the previous mentioned methods with the following materials. 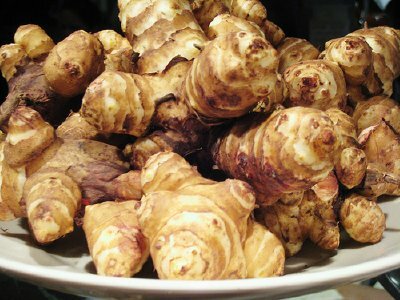 Sugars will be obtained from Jerusalem artichokes sometimes called sunchokes. We may try a couple corn runs, but we are installing some sunchoke boxes for growing these amazing tubers. They can produce a LOT of sugar energy. Corn will produce 300 gallons per acre and Jerusalem artichokes will actually produce double that at 600 gallons per acre. They grow like weeds and are amazingly productive. Corn doesn’t grow very well in the Ozarks anyway. In the short term, malted grains will be made with a stockpile of wheat berries we have on hand. Long term, we will eventually be growing amaranth. We will malt this grain to make our enzymes for creating the starch to sugar conversion required for the Jerusalem artichokes. Yeast will be created from either persimmon skins (grown wild on our homestead) or sourdough starter and used in the mash to start fermentation. So that’s it. The process is pretty simple and it should be simple. After all, the ancients figured this all out long before you or I came along. The making of spirits is mentioned as far back as the oldest books of the Bible (Deut. 14:26) and many other manuscripts. Henry Ford once said that Ethanol was the fuel of the future. Many of the original vehicles produced in this country were designed to run on ethanol made from vegetable matter. My biggest hurdle (and yours too) is to be able to have a way to make and distill the fermented product to use as fuel so that it will burn. A 5 or 10 gallon still from Clawhammer Supply will not make you a fuel barron overnight when the SHTF and the grid comes tumbling down. But it can give you enough to get by for emergencies and give you an edge that many around you simply won’t have. 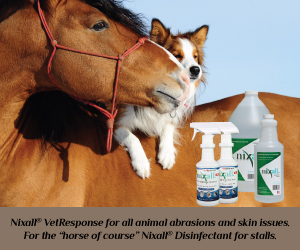 I would highly recommend their product. I have really enjoyed building my still from their kit and I’m confident it will provide years of valuable use in the future. If you decide to purchase one of the Clawhammer Supply Stills, be sure to let them know you found them on An American Homestead! Dear friends. I love your program. My husband and I watch you from Puerto Rico. I was borne in Guatemala and as a third world country, we have to be self sustained in everything. The government doesn’t help people with coupons or food stamps or anything like that. Anyway, I have learned a lot from your programs and I have been inspire to cook and wash outdoors. No winter here!. Also to grow my own food. You said in your episode that you can do essential oils in your pot still. If you ever consider doing this I would be more than happy to buy some for you. Essential oils are a must for beauty products for girls and in your property you may be able to grow even lavender I think. Anyway keep us posted, you certainly have the acres and the means. Love you Bless you. Have you given any thought to planting an acre or two of peanuts? for oil…. make your own bio-diesel fuel. If I’m not mistaken.. the yield is something like 120-125 gallons of bio-diesel per acre. Could come in handy with a tractor and some other farm equipment. Just a thought I came up with driving in my diesel truck yesterday. Its moonshine. They want to be sure u are not drinking it. This is a great explanation of homestead fuel manufacturing. Thanks! To answer Lynda’s question: the fuel being produced is ethanol (ethyl alcohol) which is the exact same stuff as that found in liquors from the liquor store. However tempting it might be to drink it, using a home fermentation/distillation setup does not ensure that the alcohol is safe to drink. If your still happens to be producing some methanol (a close relative to ethanol) and you drink it, it may blind or even kill you. The gov’t tries to restrict the manufacture of addictive and possibly lethal substances. Also, of course, the gov’t doesn’t want to lose out on the tax revenues that it collects from the legal sales of drinkable ethanol. ANYWAY…sunchokes (Jerusalem artichoke) grow like an invasive weed in even poor soil and produce twice as much sugar as corn and even more than sugar beets. However, the sugar in the tuber isn’t stored as starch. Sunchokes produce fructose not glucose and it’s stored as a different kind of long chain carbohydrate called inulin. Inulin can’t be broken down with the enzymes from malted grain. The above method won’t work on sunchokes. You’d have to use heat and concentrated acid to hydrolyze sunchoke tubers or find a source for the inulinase enzyme. If you plan on using sunchokes for homemade ethanol production you’d be better off hacking the plants off just before flowering when simple sugars are at their peak in the stems just prior to being converted to inulin and stored in the tuber. If you do that, you can skip straight to the fermentation (yeast) part and skip the malt/starch process entirely. A pot still, even with packing, would have a hard time reaching 150 proof ethanol. If you ever tried igniting Bacardi 151 rum, you’ll know that 150 proof alcohol really doesn’t burn very enthusiastically. As Clawhammer says, pot stills are better suited to producing sipping whiskey than fuel. When the black helicopters come and all you have is a pot still, you will be able to get drunk in high style but you won’t be fueling anything. You’d need a reflux still or better for fuel grade alcohol of 170+ proof. That being said, the Clawhammer pot stills look really great. 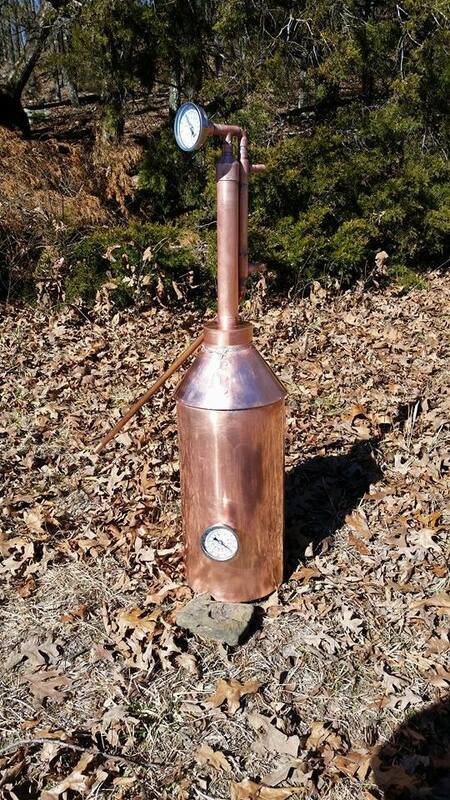 Besides, in a pinch you could modify a pot still to be a reflux still and while you were working on that conversion, you could be drinking some fine hootch! All fun article and comments to read. I’ve been interested in making fermented veggies–to eat! Got some raw fermented in ginger carrots in a jar today. Wrapped it in a leaf of raw cabbage. Yum! Delicious crunchy sandwich. I gotta get making some fermented veggies and pickled beets! But love all the info here.